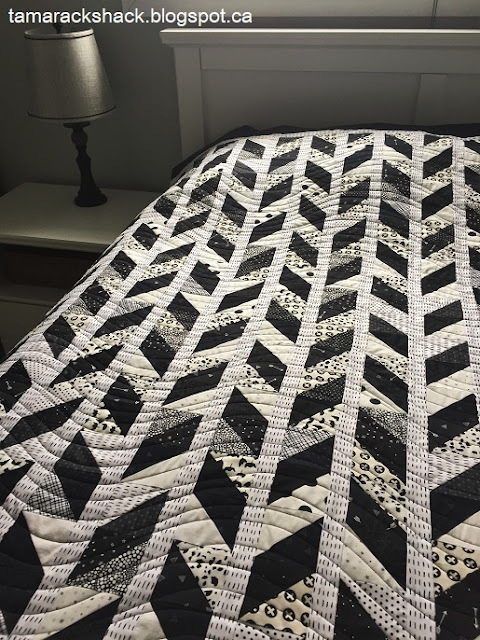 What a great idea for a quilt and the wavy lines are perfect on it! I'm sure her grandson will love it. 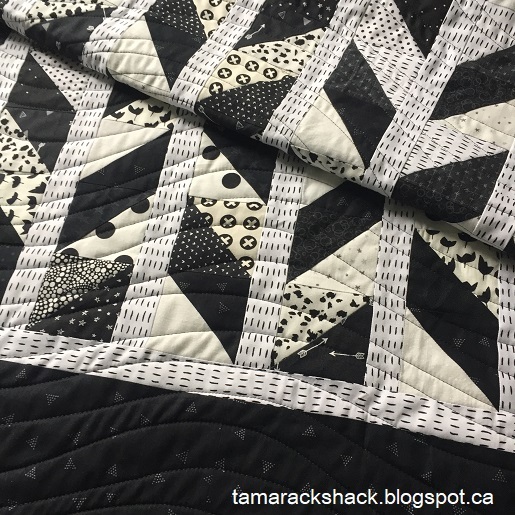 Gorgeous quilt -- nice to see a "masculine" quilt and what a great way to use scraps! 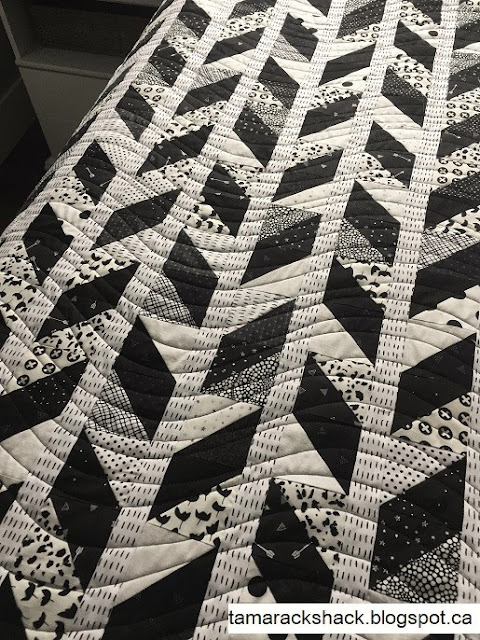 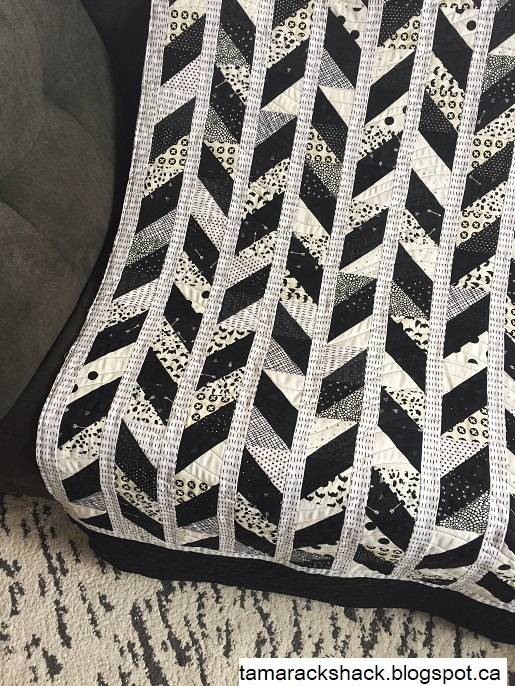 Wow, I love this quilt and your quilting!!! The quilting was a perfect choice. 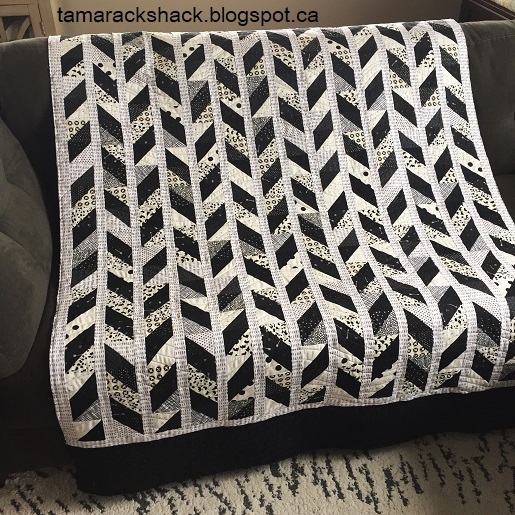 Simple but looks so complicated!